Let’s start at the familiar level. A typical San Diego residence uses 14 hundred cubic feet (1 hcf = 748 U.S. gallons = 2831 L) of water each month—working out to 138 gal/day (520 L/day) per person, assuming an average of 2.5 people per residence. Based on backpacking experience, this is more than one hundred times as much water as is necessary to satisfy basic needs. Note: only 60% of Do the Math readers are from the U.S. The volumetric units in this post will likely elicit a groan or two overseas. Some additional conversions: 1 gallon is 3.785 L; one cubic meter is 264 gallons; and 1 hcf is 2.83 m³. My own household (two people) averages 20 hcf per year. This past year is slightly anomalous in that we planted a large section of our yard with drought-tolerant California natives, and have supplied 4.25 hcf of water (5.5 inches or 14 cm of rain equivalent) to help establish them in their first year—yes, I record sprinkler use. Even so, our water use over the last year comes to 23 hcf—working out to 47 gal/day (or 38 gal/day ignoring temporary irrigation). Okay, so I’m shocked² by these sets of numbers. First, I am shocked that we use as many as 38 gallons per day within our house. On what?! We are sparing with showers, each requiring only five gallons and on a roughly two-day cadence. Our low-volume toilets (one of which has a dual flush capability) average something like 1.5 gal per flush, and we don’t flush after every use (of certain types, if you know what I mean). Dishes? Sparing, efficient. Laundry? The same. Vegetable garden? Rainwater catchment (600 gal storage). So it’s hard to get it to add up—yet it must, and I accept that. The second power of shock (thus the square) is the nearly 10× greater usage (344 gal/day) by typical area households. Yet it’s not an unfamiliar mismatch—also appearing in our use of electricity, natural gas, etc. But where is all this water going? Presumably, much of it goes into creating green lawns in a semi-arid desert: San Diego typically gets about 10.3 inches, or 26 cm, of rain per year. If I guess that a typical house in San Diego has about 2000 ft² (185 m²) of lawn, then tripling the natural rainfall amount will require 34 hcf of water, or about an extra 3 hcf per month. Hmmm. Not as big a chunk of the monthly 14 hcf as I thought it would be. Maybe I underestimate how much irrigation people are doing. Overwatering, overspray, evaporation, and leaky sprinkler systems may be a big part of the story, but I am still left a bit puzzled. I guess frequent long showers (also energy-intensive), washing clothes maniacally often, flushing every use, hosing off the driveway, washing cars, etc. may all add up. One final comment on domestic water. Each month, I pay a $19.33 base rate for water service (not including wastewater service, which is a comparable charge). Then it’s $3.61 per hcf of water used. So my monthly water bill comes to about $26. Meanwhile, the average residence pays $70 for their 14 hcf allocation. I’m paying about 2.7 times as much per gallon as the average resident: my reward for conserving, apparently. A further amusement is that my water service issued a “20 gallon challenge,” which asks residents to shed 20 gallons per day per person. Setting aside the temporary native-plant irrigation, our 38 gal/day household usage would mean that rising to the challenge would result in our complete abstention of utility water usage. 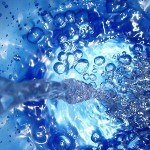 In fact, it would require each of us to cough up (not literally) a gallon of water each month to donate to the utility. Good thing we have rain catchment. The USGS provides national water use estimates every five years. For 2005, the total 410 billion gallons per day works out to about 1330 gal/day per person. This drops in half if excluding water used for cooling power plants. For California, 81% of the withdrawals were for power plants and irrigation, leaving 240 gallons per day per individual in the state. A 2006 report pegs the total amount of water-related energy use in California at 52 billion kilowatt-hours annually. This computes to about 6 GW of continuous power expenditure, or 160 W per person. Not a trivial amount. Of the 52 TWh, 32 are performed by the end user for heating, cooling, moving, filtering, or pressurizing the water. The other 20 TWh goes into pumping water across the state, including over mountain ranges. That’s about 8% of California’s electricity demand! As a lark, if we dumped all 52 TWh of energy into the annual California water supply (40 million acre-feet: just listen to the Europeans howl), how much would the water warm up? Answer: about 1°C. Not all that much. But it illustrates the degree (ha!) to which water heated by 40°C for a shower or by 80°C for cooking pasta is high-value water, relative to the rest. Combining the energy and volume numbers in another way, each gallon of water in California comes with an average energy price tag of 0.004 kWh, or 0.0015 kWh for the pumped-delivery charge alone. This means that a 1 hcf unit costs just a bit over 1 kWh to deliver. But there is another direction to consider as well. Power plants generally use water as a conveyance for waste heat, and withdraw far more water than any other entity in the U.S. (including agriculture). According to the EPA, every kWh of energy delivered demands the participation of 25 gallons (95 L) of water. Most of this is either returned to the source (warmer by 17°C, I calculate) or preserved in a closed system. But 2 gallons are lost for each kWh of energy delivered (regionally variable: much higher in arid regions). Luckily, the resulting kWh is sufficient to deliver another 750 gal to the door, so there’s no spiraling trap preventing us from consuming water in this way. Obviously, hydroelectricity is another place where water and energy collide. In drought conditions, municipalities may increasingly face decisions about whether to use the contents of their reservoir for water or electricity. Interestingly, according to Webber, each kWh of hydroelectric energy produced results in the loss of 18 gallons of water due to increased evaporation off of manmade reservoirs—over-and-above what would have happened in the natural run of the river. So hydroelectricity is more consumptive than the thermo-electric plants by a fair margin. Production and processing of our fossil energy commodities also require the use of water. Gasoline consumes a few times its volume in water for production. But from an energy standpoint, at 36.6 kWh/gal, every kWh of energy available in the gasoline takes a small fraction of a gallon of water to produce. Thus electric cars turn out to be more water-intensive than gasoline cars, for instance, if each kWh of electricity production gulps a few gallons of water. For tar sands, the ratio is about 5:1 water:oil-product, plus more for refining. A similar number accompanies oil shale extraction, but in the U.S. the oil shale is primarily situated in arid regions where water availability is limited. Hydraulic Fracturing (“fracking”) for natural gas appears to require 10 L/GJ of water consumption. For the energy equivalent of one gallon of gasoline, this works out to just about one liter—so not as intensive as tar sands or oil shale, or even gasoline. Mostly this is because gas is happy to flow on its own with little help from water: the water only has to create the cracks (fracks?). However, water does enter the equation in other ways for fracking. Contamination of ground water is a principal concern, and some residents have complained of being able to ignite the effluent from their kitchen sink faucets! But the real water hog for energy purposes is biofuels. Each gallon of fuel produced may consume something on the order of 1000 gallons of water (regionally variable). That’s about 25 gallons per kWh, to put it in the same units as we discussed for power plants. Naturally, the impact depends on the degree to which irrigation is employed vs. natural rainfall. I would assume that the amount of water used in the refining/processing is similar to that for gasoline and therefore does not contribute much additional burden. Another domain in which energy and water concerns collide is in desalination operations. One possible solution to Southern California’s reliance on water pumped over mountains from the north is to make use of the ocean of water breaking onto the local beaches. A recent blurb in the NYT announced plans for a desalination facility just north of San Diego that would produce 50 million gallons of water per day—aiming to supply 7% of regional demand by 2020. The price tag is roughly a billion dollars. The conversion factor is thus about $20 for every gallon-per-day of capacity (at large-scale; likely fails at the household level). The estimated cost comes to about $4.80 per hcf, which is higher than the current price of water to the end-user in San Diego. But I’m not knocking it on these grounds: many of our future options will likely be more expensive than the magic carpet ride we’ve enjoyed on the foundation of fossil fuels. Energetically, the most straightforward approach to desalination is evaporating water and collecting the condensed vapor. Put salt water (or anything moist) in a dark container with clear plastic or glass across the top and place it in the sun. The interior will heat up and evaporate water, which then condenses on the cooler plastic/glass cover. An appropriate sloped-roof geometry allows drip-collection of the water. Every gram (mL) of water vapor that escapes its liquid birthplace exacts a toll of 2257 J. This is a bit steep. Heating that same parent gram of water by 1°C only costs 4.18 J—which is why a pot of boiling water takes ages to boil away to nothing (see post on boiling water efficiency). A brute force approach like this would demand 2.4 kWh of thermal energy for every gallon of water produced (or 633 kWh/m³)! Until I did the math, I dreamed of flowing ocean water through a system of shallow, covered trenches, generating fresh evaporated condensate. Low-tech, solar-driven, lovely! We might optimistically capture 50% of the incoming solar energy in the trough-collector, so that each square meter receiving about 5 kWh/day of incident energy could result in one gallon of water. Producing 10% of California’s demand would then require an area 60 km on a side, or a strip of land along California’s entire coastline about 2.5 km wide. Let’s call that infeasible. Darn. the multi-stage flash distillation process, which employs low-pressure chambers and recovers much of the heat of vaporization as the vapor condenses on the feedwater intake pipes, reducing the amount of direct heating required. These devices tend to achieve about 18–25 kWh/m³, which, again, is a bargain compared to direct heating. Finally, reverse osmosis (RO) is another option, forcing water through membranes that exclude the saline ions. Typical RO installations achieve about 5–7 kWh/m³ (see, for instance, here or here). But the osmosis approach requires high-grade electricity, which if produced in the traditional manner requires about 17 kWh of thermal energy input per cubic meter of water produced. So really these prevalent techniques are not tremendously different energetically, although perhaps the osmosis approach is more finicky in terms of water preparation/filtering, gunked up membranes, etc. RO wins out energetically if the electricity is from non-thermal sources (wind, solar, hydro). Okay, so now that we have an idea about how desalination is really done, what would it mean from an energetic standpoint if California tried to fulfill a substantial fraction of its water demand from desalination? I’ll use the approximate value of 20 kWh/m³ (thermal) hereafter. Let’s start with San Diego’s effort to replace 7% of water demand in its 50 MGPD plant. This works out to 160 MW of thermal power. For scale, the San Diego region uses electricity at an average rate of 2.3 GW. So we’re talking a noticeable amount. Extrapolating to 100% desalination for San Diego, we get to 2.3 GW thermal, which would substantially increase local power generation demand. Economically, about half of the negotiated $4.80/hcf cost is in energy. It works out to 15 years to recoup the construction cost for the plant under the (poor) assumption of constant prices. What about California as a whole? San Diego county is not a heavy agricultural center, so the problem will get harder if trying to satisfy the state’s needs (and therefore the country’s food needs given the national-scale importance of California’s agriculture). California uses 46 billion gallons of water per day. Supplying 25% of this via desalination would require 36 GW of thermal-equivalent power. California runs on 30 GW of electricity, and a total energy budget of 262 GW (thermal; from oil, gas, coal, hydro, nuclear, etc.—according to the EIA). That’s a substantial amount for 25% of our water needs. Another way to slice this problem is to ask what fraction of California’s water could be provided by using the amount of energy that currently goes into pumping water around the state. We use 20 billion kWh of annual electricity for pumping, translating to about 6.5 GW of continuous thermal power. This amount of thermal power could meet 4.5% of California’s water needs via desalination. When we currently spend 8% of our electricity delivering 100% of our water, and would only meet 4.5% of our water needs by the same energy investment directed to desalination, we can appreciate the crunch. Will the Nexus Vex Us? What a surprise—the world is a complicated place with interdependencies. Is the water-energy connection more than an academically interesting tangle? I think so. Water is undeniably important to our physical survival, and energy is the main physical ingredient in our development of modern society. Shortages in either could have major impacts, and their entanglement means that a shortage in one could trigger a shortage in both. Seems like a problem—especially in light of increasing population pressure and intensifying effects of climate change. Of course my “solution” is frequently to ask why we need as much energy or water or you-name-it-resource as it seems that we do. The fact that I live a perfectly functional life using less than 20% as much electricity, gas, and water as my San Diego cohort sure seems to suggest a viable path away from the crunch. The good news in all of this is that when faced with difficult limitations, economic factors will assert themselves via the beloved mechanism of skyrocketing prices. People will naturally react by cutting back significantly, as my experience indicates is clearly possible. I am confident that San Diego could still function on a drastically reduced water budget, if needed. Every 60 ft² of roof area in San Diego collects enough rain to provide a gallon per day averaged over the year (1.4 m² collects 1 L/day). So thirst shouldn’t be a problem, even for a few million people. I’m not so optimistic about the odds of grass and ornamental plants surviving serious cutbacks. So while survival is not at stake, our accustomed ways of life may well be endangered. The bad news is that we appear to be incapable as a society of reacting to a looming situation before economic forces drive us to change. By that time, we have often lost precious years to prepare for a new reality. We tend to want proof that something is a problem before we alter course. Not the smartest of approaches, in my book. Ironically, the political “conservatives” tend to be the most resistant to conserving resources or approaching the future with a conservative, low risk mindset. Growth trumps caution. A key philosophical difference may lie in one’s sense of whether growth solves problems (debt, hunger, unemployment), or creates them. The answer does not have to be static—especially in a world of finite resources transitioning from the “empty” to the “full” state. We may well see an evolution from a world in which “growth the solution” more and more is perceived as “growth the problem.” I think attitudes are already shifting in this direction. This entry was posted in Behavior, Climate Change, Energy, Personal Energy and tagged biofuels, hydroelectric, water by tmurphy. Bookmark the permalink. My family is around 3.5 m^3/month for 2 adults and 2 kids about 10. Neighours (even if it’s only one in a home) run are 2x to 3x our water use. We don’t use gray water recycling and we’re already at the minimum billing for water use. I’m might ask you how you’re managing to use 5.3 m^3/month!! The neighbours who are using 2x as much water as us don’t water anything. I know that they don’t have low flush toilets. I guess that they flush a lot. None of them have front loading washing machines. The ones with kids do an inordinate amount of laundry (several loads per week compared to our 1). But even the homes with but one person use way more water than we do; and they’re not the types to cook foods from scratch or maintain any green growing organisms. They wash their hands a lot?? Take very long showers every day without a low flow shower head? Great job! Our temporary irrigation effort aside, we’re at 4.5 m³ per month, but that’s still more than you guys—and without kids. As I said, I cannot reconcile where our water goes. That usually means there is room for improvement. Awareness is followed by measurement is followed by analysis is followed by reduction. That’s the usual route for me. I’m somewhere in the middle of this process for water. Are you relying on your utility meter to gauge your usage? I would not be shocked at all if it was malfunctioning. I have confirmed small withdrawals like flushing a toilet, and the meter matched the known quantity reasonably well. Also, I can report that the tiny whirly-thing is dead still on my meter when nothing is being used–so apparently no downstream leak. The trouble with economic pressure is that it’s felt most strongly by the people with the least freedom to respond to it. While water use is extremely excessive in a lot of areas, lumping all biofuels together in the claim that they use 1000 gallons of water per gallon a fuel is misleading . While the irrigation of crops to produce some biofuels is probably very close to your 1000 gallons if not over, Algae based fuels can be produced with very little water use. Yes, there is a major investment in water upfront to fill ponds/photobioreactor, and ponds will evaporate more than a PBR, however a PBR can produce algae, be drained to harvest the algae and then refilled with the same water, replacing the tiny amount evaporated each refill. A PBR can even use waste water and return cleaner water back. I think you should take a deeper look at algae as a replacement for a lot of our fuel needs. It can be used for a source of biodiesel, the pressings can then be processed in an ABE process to produce butanol which can be used in place of gasoline, ethanol which has use as a fuel (or other uses), and acetone which has many uses as well. The pressings can be used for other purposes as well, fertilizer, or pressed into pellets for a pellet stove or even used as feed for livestock. While it is making all these products algae can pull CO2 out of the air, benefiting us in at least 4 ways. If we build out a relatively inexpensive algae infrastructure large enough to supply a significant portion of our fuel needs, we get the added bonus of begin to soak up some of the CO2 we have been dumping into the atmosphere. Kind of win-win isn’t it? My talk of biofuels was indeed restricted to the crops variety (the kind put in cars today). The only place I’ve really addressed algae on DtM is in the Biofuels Grind post. It works out to 15 years to recoup the construction cost for the plant under the (poor) assumption of constant prices. That’s equivalent to about 5% annually, which is a pretty good investment. Second, my usage averages about 100 gallons / day (no clue where it all goes! ), but that only costs me about $15 / month; $10 of that is the basic service charge. Sewage is about another $15 / month, and I pay another $12 / month for a city-run insurance program that covers service line repairs that the city otherwise wouldn’t be responsible for. My monthly bill is generally between $45 and $50, or about $1.50 / day. Considering that most people spend more than that on coffee, and that the monthly bill is only a half a day’s pay at minimum wage (and less than an hour for me personally), it’s basically free — not a significant cost. I could use ten times as much water — a thousand gallons a day! — and only double my bill. But, remember: Of that $45 – $50, only about $5 is for the actual water! In light of all that, it’s hard to believe that we’ve got any sort of a water crisis or that there’s any reason to even pretend to think about conserving water. Yes, I know that the cost of water is very heavily subsidized and that we’re rapidly drawing down a vital and limited resource much faster than it can be historically sustained, and that we’re headed for serious problems in some number of decades if we don’t do something. But, honestly? There’s absolutely no reason I or anybody else should even pretend to do anything about it so long as prices are so far out of line with reality. After all, even if I turned off my water at the meter, I’d only save myself about $5 / month. I mean, honestly: what sort of possible incentive could I even theoretically have to wast a moment trying to shave pennies off of a $5 / month expense? I’m all for fairly pricing water, including the full cost of recharging our aquifers (even if that means ludicrously expensive pumping of nuclear-powered desalinated water from the Gulf of California to Phoenix). But, so long as water is (almost) too cheap to meter, there’s literally nothing any of us can do except argue for cutting the subsidies. But, in this Tea-Party-infused climate, who’s going to listen to some environmentalist hippie who wants to jack up the water bill? Also, if most of the water use is power plants and agriculture, then household conservation doesn’t matter that much. If one’s trying to imagine the feasibility of a high desalination society, then assuming solar powered RO plants seems the way to go. I’m with Damien, CA needs to cut a swath of land between SD and LA from the ocean to the desert. Put a massive array of PV panels out in the desert and a RO plant on the shore. Run the power lines between them. 2nd note. I do love the Phoenix area for weather, but I stay in Chicago because of the close proximity to that glorious lake water. I could not tell you what I use/pay for water since it is factored into my HOA bill. I think that cheap fresh water will run out for parts of the country before cheap energy does. That will be a bad day for the Southwest, including So Cal. Thanks for the equation embedded in this post: it takes 1 kWh to deliver each 750 gal. of water to a house. I know this is a CA average, but at least it’s a starting point. I’ve asked our water utility and they have no clue. We have a potable rainwater system that increases our electric use because of filtration and pumping and I’ve wondered what savings there were in producing the water on site vs. delivery by the city. In Brussels (Belgium), the price per cubic metre increases for households that consume a lot of water per person. The first 15 m3/person/year cost 1.90 € per m3, consumption between 15 and 30 m3/person/year costs 3.39€, 30 to 60 cost 5 €, and every m3 above 60m3/person/year costs 7.32 €, almost four times as much as the first 15000 litres. Average consumption is around 100L/day, or 36.5 m3/year. In Portugal, our family of 4 consumed a mean of 12.2 m3 (~4.3 hcf) of water each month, for the last year. No lawn, as we live in an apartment. Obviously there’s no consensus among these cities on how the fees should be split between the base rates and the per-gallon charges. But I do know this: The bureaucrats and financial consultants love high base rates and low per-gallon charges, because it makes revenue more predictable. They live in constant fear of the prospect that people will suddenly start conserving water and thus leave them with a shortage of revenue. Going off on that thought, so this turns out to about 1400kWh/year/person if my math is right. The US Dept of Energy has the figure that in 2009, the average american consumed 308 million BTU’s (http://energy.gov/maps/2009-energy-consumption-person) . If I’m doing my conversions correctly that goes to 90000 kWh/year/person. It seem water use accounts for around 2% of personal energy use. This post really highlights the fact that there are a lot of excesses in water use; that aside though, is there an energy related reason why this excess might not be sustainable? Another great post, and looking forward to a post that summarizes the magnitude of the impact of all these personal lifestyle changes on a large scale. There may be a factor of ~3 lurking in there dealing with thermal vs. delivered energy. See comment by Jason about 12.6% estimate. The real point is that the two are intimately connected, so that if we have trouble meeting our energy needs, we will also have trouble on the water front (and the other way around as well). Just makes the problem less tractable. Cool new podcast and study about energy and water in Environmental Research Letters here http://m.iopscience.iop.org/1748-9326/7/3/034034/pdf/1748-9326_7_3_034034.pdf ! The US used ~12.6% of its annual energy consumption on water in 2010! Nicely done! I concur on the (insanely promising) potential of conservation. I would simply add to the water-use conversation another inconvenient reality: water footprint. As you know, water use is hidden in everything. From leaky loos to the amount of H20 required to get something like a beer into our SMEG, tofu to our plate, or an iPhone into our pocket. Some of the numbers are mind-boggling. “Desalinization” of treated sewage uses less energy, I have heard. It was proposed in Tampa. Across the bay, Pinellas County has an entire separate water supply for non-potable water that contains some amount of treated sewage (I think that irrigation uses outstrip non-irrigation uses, so it’s not all treated). And some nuke plants use seawater for cooling; I believe Crystal River did (before the terrible problems with one of their reactors), and I think the plant near Wilmington, NC, also did (friend of mine worked there, said they had terrible corrosion problems till they replaced their high temperature sea water pipes with titanium ones; this was decades ago). PS in the good old days, during freezes citrus growers also burned tires, both for heat, and for heat-trapping smoke (most freezes in citrus-Florida are mostly radiative). Get up in the morning before sunrise and look east, you could tell if there had been a freeze, because the sky was kinda purplish from all the smoke, instead of orange. There is a desalinization plant in the Thames estuary, that uses the brackish water of the estuary rather than the salt water of the North Sea, But they only use it in demand emergencies because of the energy cost. 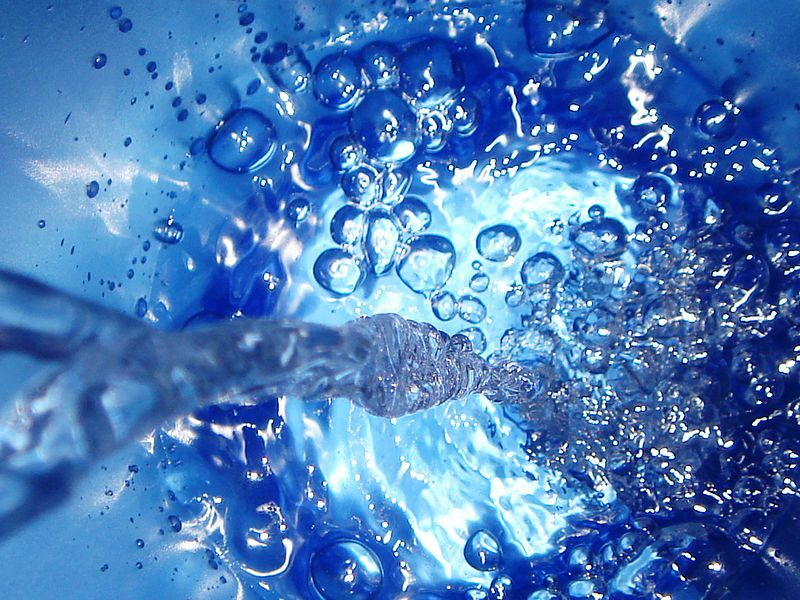 Check out IEEE Spectrum’s series on Water vs Energy. It has many articles. There is another desalination technique with significantly lower energy required, that can run on low-quality waste heat, called Forward Osmosis. The trick is to put a specially selected as your draw solution; water moves from the seawater into the draw solution simply by osmotic pressure, and you then remove your special salt by chemical precipitation or other means. There are a couple forward-osmosis plants running in the middle east which claim to be about 30% more efficient than reverse-osmosis plants, and in theory the technique can be 3-5x more energy efficient (based on this paper: http://prod.sandia.gov/techlib/access-control.cgi/2006/064634.pdf). The wikipedia page for Forward Osmosis also has some good references. Does anyone have a rough estimate of the fraction of “waste” heat from a gen III reactor useful in an evaporative desalination process? Suppose that California’s rabid anti-nuclear alarmists suddenly went away and the state was able to add an extremely modest six AP1000 reactors (three plants at two cores per plant) – a plan which would be technically feasible, if the scientists and informed citizens were running things. How much freshwater would become available as a byproduct? The supplies of uranium and thorium are virtually inexhaustible when advanced extraction techniques (e.g., seawater) and a sane attitude towards spent fuel reprocessing are in place. If fresh water can be produced in a significant quantity as a byproduct of reactor heat, then it follows that freshwater supplies near the coast are also virtually inexhaustible. While much of the green crowd views conservation pushed to extremes (e.g., self-imposed flush rationing) as a morally righteous act of self-flagellation, not everything need be conserved if technology can put abudance at our fingertips. Suppose that technological improvements drop the $/W of solar PV by a factor of three – do we still need to be stingy about daytime power use? Note that I am not condoning waste, when waste is defined as a purposeless use, such as an appliance left on and delivering no active benefit. The sustainability of the perpetual compounded growth of water demand is another issue, however if fresh water can become a byproduct of a rational approach to electricity generation, then we can solve so many problems from agricultural security to the inconvenience of low-flow toilets. I know that some of the renewable purists will take objection to my classification of our supply of fissile/fertile isotopes as “virtually inexhaustible”, however a theorized problem many thousands of years out is not really a problem. Alarmism for large values of t ignores technological advancement and social change, even at a very slow pace. For absurdly large values of t we’ll either be boiled alive by ridiculously compounded growth in energy output (per an earlier DTM post) or the physical mass of humanity will exceed the TOV limit, reducing all our distinct resource problems to a singularity. If nuclear energy can solve the world’s fresh water crisis, then should anti-nuclear alarmist policy be considered a crime against humanity? IIRC John McCarthy estimated, or passed on estimates, that nuclear fuel could last over a billion years, competitive with solar power for being “renewable”. Lots of fissionables in the crust; I think that scheme relied on natural erosion replenishing the seawater supply, rather than strip-mining granite. http://www.centauri-dreams.org/?p=21719 says crust is 1.4 ppm uranium. Top kilometer of crust is 1e14 m2*1e3 m*3e3 kg/m3 = 3e20 kg material; 1.4 ppm = 4.2e14 kg uranium. At a kilogram per second (1e14 Watts) that’d be 10 million years. Throw in thorium for 5x, deeper erosion for 10x, and half the power use for 2x, and that’s 1 billion. Yeah right. And how does one mine 1/4ppm U without oil? You don’t, you filter it out of the seawater it erodes into. That said, you’re not making a valid point. You need energy to do things, not oil specifically, and if you do need oil for some remote application, you can synthesize it, if you have energy. Which you do, because you have uranium. I only mentioned oil because I was thinking of mining (as in the crust) and you need diesel for mining. I’d hate to think what the ERoEI of filtering millions of gallons of seawater to get a few atoms of Uranium is……..
Our using diesel for mining today doesn’t mean you need diesel. And even if you do, it can be synthesized, as I said. Uranium is 3 parts per billion in seawater. So a billion liters would be a billion kg and yield 3 kg of uranium, which would be energy-equivalent to 6 million kg of oil or 12 million kg of coal. How can we come back on the ground without hurting ourselves ? One possible way would be to reconsider everything local, which would mean produce locally, with local resource such as water, people, land… all what is necessary for local needs to create local wealth. That would mean a real decentralisation and the use of natural resources only by local people. Finish that nonsense of transporting f.e water, gas, petrol,… to the other side of the country to service only huge interest and leave only pollution and scarcity for the people. Same for the food to be produce locally and according to local resources such as land, organic matter, people and water. Sorry, I totally disagree…… We ONLY consume local food. In fact, 80+% of our food is grown right here, even milk/cheese/meat! This afternoon, I will turn out another four camemberts from my goat’s milk….. and it’s better than anything you buy in the shops, they’re made with RAW MILK which NOBODY trades!!! The capacity to deal with droughts is easily achieved through clever design as stipulated in Permaculture Principles. Example: right now, tomatoes are selling here (in Australia) for $8 to $13 a kilo (~2 lbs)! I don’t know where the hell they come from, but they can’t be local! Yet, I have my own and VERY local supply right outside my kitchen door….. and they’re FREE! The food we DO buy we buy because we still can, and frankly, because we occasionally like to treat ourselves to a little “luxury” like mushrooms and asparagus, neither of which we grow (yet). But come the day the Matrix goes all pear shaped….. we will be ready! How much land are you using for that? What’s the minimum amount of rainfall you’ve had over a year? Two years? How would you cope with a thirty-year drought? 80% of your food by what? Weight? Calories? Good questions……. the percentage is a guesstimate. I certainly don’t count calories…! We spend maybe $100 a month at grocery stores for EVERYTHING….. toilet paper, toothpaste, cans of sardines and tuna, salt, and foods we don’t /can’t make like butter, bacon, pasta/flour…… thinking about it, it’s actually hard to list what we DO buy! We live on very little money. Our biggest overhead consist of the phones/internet, followed by the car we hardly drive and land taxes…..
Our lowest rainfall since we’ve lived here has been around 600mm. BUT we have also had flooding rains that have destroyed stuff we planted. We still manage to make do, we just deal with less variety… on average we’re supposed to get ~1250mm/year. Over a meter of rain a year? Isn’t that really high for Australia? One webpage says 165 mm is average. And, land? Divided evenly there’s 5 acres or 2 hectares of land per person around the world — that’s including mountains, deserts, tundra, etc. I can’t believe someone even bothered to “average” Australia’s rainfall…… what a waste of math! Australia is the same size as the US, and like the US, has very varied climate zones, from tropical/monsoonal which gets 2.5 metres a year, to deserts that get nothing. And deserts possibly (didn’t check, can’t be bothered) cover 2/3 of the continent… 165mm average is a meaningless number. Oh and anyone who settles anywhere where there might be a 30 year drought has sawdust for brains…..! You could do a self-audit of your water use by looking at your meter spin. You may find that one of your uses is much higher than you thought, or maybe things truly aren’t adding up, possibly due to a leak. See my reply to Max. Of course, the conservative answer to that is to privatize the water system, and create a futures market. Then people who expect a problem can buy futures, raising prices now, and giving them a return on their investment for their foresight. I’m a card-carrying Democrat, but there really is something to the value of futures markets in early price signaling. This is partly a result of the “lessons” learned from the 70s/80s. The Baby Boomers no doubt haven’t forgotten that era. I’m an early Gen-Xer, and I’m just old enough to know what they (Boomers) mean without agreeing with their interpretation. The oil exporters wanted to teach us a lesson, too many people said “See, that means we’re running low/running out/it will be harder from here”, but the Boomers instead kicked Carter out and Reagan used the power of the markets and the military to make everything better. (Gives me the creeps writing it.) To be fair, prices for energy *did* come down, though most people don’t understand why, and a decade later everyone was driving Expeditions around. Their “wait and see” approach is a somewhat rational response to what they saw the last time. It’s not likely to work as well this time, but you can only blame them so much for thinking we’re just repeating history and all will be better soon. Most Americans just aren’t numerate enough to really understand what’s going on. Private resource extraction has never resulted in responsible use, even with futures markets. The price goes up, but not enough to slow down the extraction. Seriously, who says “we were going to work this diamond mine, but the price of diamonds is just too high, so we’ll leave it be until the price comes down”? Who says “We were going to shoot this rare bird, but they’re so nearly extinct, they’re going for a fortune on the open market. Better let it live”? There actually are private water companies all round the world, and they only stop extracting water when the water all runs out. That’s not the effect of any futures market, that’s nothing but a tautology; real conservation would consist of stopping the taking before the resource stops giving. We live (in sub tropical Australia) entirely off the water grid. We store rainwater in two 23,000 L tanks (one for the house, one for the garden), plus a 2000L header tank used for pressure in garden watering. NOTE we grow 90% of the vegies we eat, and we have ducks which are water heavy birds…. In the past three months, we have had 6mm/0.25 inches of rain. Our “house tank” is now just under half full. I know we won’t run out before it rains again, probably next month (the beauty of no rain is that we generate OODLES of solar energy the utility buys off us at 52c/kWh!!). In the eight years we’ve lived here, we have NEVER run out of water, even when we once had no rain at all for six months. The secrets are (apart from commitment!) a zero flush composting toilet, a 4L/minute shower head (~ 1gall/min). Plus the pumping of water through a domestic demand pump means delivery is slow, slow enough that I can wash my hands in just 1L of water….. The wastage of water in our effluent 1st world never ceases to amaze me. We should all own as much property as Mike. I’m not even being sarcastic. The key to living comfortably with the planet really is for everyone to own that much land, that size of personal water catchment and storage, access to that much sunshine, and so on. But the planet couldn’t support 7 billion such people. That low level of environmental impact per person needs there to be far fewer people, so that there can be far more resources and capital per person. We have the custodianship of just 1 2/3 acres…..
Not flushing the toilet after every use? I have tried that to see if it would smell too bad, and my conclusion was that it does. So, I decided that since I consume less natural resources than the average person in my country anyway, I would flush my toilet as much as needed. errrrrrrrrr…… my toilet doesn’t even have a cistern! In reading this excellent article, I keep thinking about the role of single family houses as the epicenter of all these energy and water problems that we face. Actually no, the true epicenter is population growth, but the single family house is a close second. Americans water their lawns because they have lawns around their single family houses. Americans use so much gasoline driving around because they live in low density single family houses. Americans are fat because they drive everywhere and don’t/can’t walk anywhere. The single family house in suburbs is the single most environmentally destructive living arrangement we have ever created. I live in Zurich. Most people live in apartments. There are no lawns to water. The toilets are mandated by law to have a dual-flush system. Water is expensive even though there is plenty of water. I pay around 66 CHF a month for a family of 4 for less than half of what San Diego households use. I agree with a previous commenter that taxing water use is one way to solve this problem. But it’s political suicide just like raising gasoline taxes in the US. And the US already has one of the lowest gasoline taxes in the developed world! People will discover that water is our greatest resource. It’s sad that we “all can’t get together” and build the solutions. Not only are we incapable of foreseeing shortages, we seem incapable of realizing that we are in a sea of division – that America is indeed divided beyond hope. Perhaps, a serious shortage will “fix” that at yet even more expense to those who have not the economic ability to cause it in the first place. People fight about “tax or cut” concerning solutions to economic debt, and not even realize that there is a third, much greater variable to consider, which is the legalization of the transfer of jobs away (to China, etc). Has this economic drain trapped us into further downward spirals which prevent us from affording to build pricier and clean solutions? Great summary. Regarding your last point that the best solution is conservation, this suffers from the same problem that fossil fuels do — that if I willingly curb my consumption of a scarce natural resource for the sake of the future, then there are 6 billion other people in the world who would gladly take my forfeited share. And the world of globalized trade is becoming ever more “free”, so conservation in one place is quite literally consumed by another. Conservation justifies further growth. At some point conservation will not be optional, but as you say, that may be too late. Where I live in Canada, our “conservative” governments (both federal and provincial) bought out by big industry are going hog-wild crazy in getting pipelines and ports built to export all our remaining resources to Asia ASAP, including water. Of course they use the standard line (like Obama) that we have “centuries” of resources left to justify this and sell it to the masses, not mentioning that this is based on current consumption rates and that when we start exporting big time that will drop to decades. But that doesn’t matter to our leaders, as they are in it for the 4 year election cycle and don’t care what happens a couple decades down the road; as long as they secure their cozy position afterwards in the corporate world they helped gain control over publicly owned resources… They probably also cling to blind faith in the ability of future technology to solve scarcity problems… it’s not their problem! I think Gregor MacDonald’s recent piece (the second half is behind a pay wall) explains well what we should expect going forward, that the central banks are desperately trying to reflate the world’s economy, to get “production” going again via stimulating consumption to offset deflation (economic production is of course not “production” at all; it is “consumption”, of natural resources). It won’t work. It’s an interesting dynamic in that we’re getting increasingly free markets when it comes to resource extraction (environmental regulations becoming more relaxed, freer trade between the haves and have not countries of the world), but conversely, increasingly centrally-manipulated markets designed to underprice natural resources and encourage consumption of them for the sake of reflating “the economy”. Because if we all lived frugally, then half the workforce would go unemployed (on a 40 hour work week), and the bankers’ models just can’t deal with that. It’s a suicidal Malthusian death spiral. One other thing, I think RO energy use might be quite a bit lower than your references say (mine say 3 kWh/m3), it has improved substantially in the last few years due to energy recovery technology from the pressurized brine discharge (seawater is pumped up to 1000 psi to force it through the membranes but 58% gets discharged back to the sea first, so a lot of that energy can be recovered when brought back down to 0 psi). My references are proprietary from vendors, so I can’t find a web link. Of course, there is a possibility that the vendors may be stretching the truth a bit… but I think it’s reasonably accurate. Your blog is tremendous, thanks. “Growth” is THE metric of health of our economic system. Unfortunately the economic system (never mentioned in the constitution) seems to have supplanted the governmental system as the primary guiding force for the nation. We know how that generally works out. Graphene is permeable to nothing but water ( according to wikipedia). This might be a way to reduce the energy spent on desalinating/purifying water.